Internet marketing is the most effective and powerful way to market your products or services. No matter you are running a small or large business. Internet marketing is what you need always to grow your business. Now you may ask, what is Internet Marketing? Internet marketing is the way to promote products or services online. There are various reasons why you need to improve your outcomes such as to drive traffic, generate leads, boost sale conversion, etc. Internet marketing is a comprehensive term that covers everything related to content marketing, email marketing, search engine marketing, paid promotions, etc. Content marketing is the most influential part of internet marketing. Content marketing is the need of the time. Without content, you cannot even think of educating users about your products and services. Without awareness, you cannot sell anything. 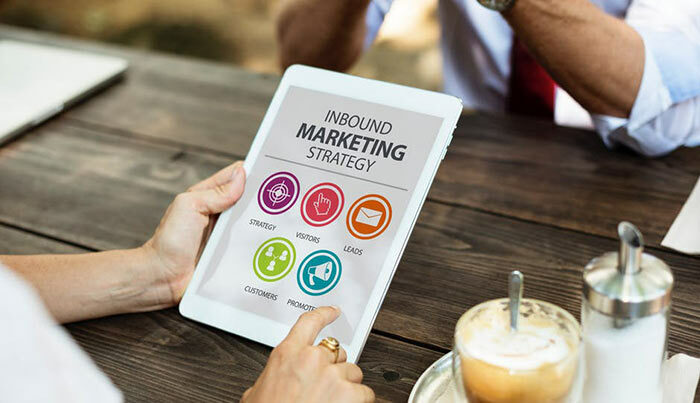 You may have already seen a lot of traditional marketing till now, but content marketing is way more improved and better than conventional ways. Why every business Needs Internet Marketing? I believe that you understand what Internet marketing is. Now, it is the time to understand why it is essential. Internet marketing is so compelling that every day more and more businesses are adopting this way of marketing. Following stats will help you understand why every business needs Internet marketing. Internet/Content marketing has helped me grow. You cannot learn everything theoretically. To learn Content marketing, you need to go hand in hand with real-time tests and situations. This will help you to find out what works for you and what not. Blog posts are the most common type of content marketing. The blog is must for every online business these days. A blog is a place where the visitor can find a lot of content related to the available products and services. On a blog, you can easily find pages, posts, and related material. In the last few years, infographics have gained a considerable reputation. Infographics are a fun way to visualize content. In an infographic, you can find a lot of pictures, content, illustrations, graphs, charts, etc. It is straightforward for a user to understand and like infographics. Case studies are excellent examples of content marketing. A case study covers all the in-depth knowledge about the topics with stats and display result. In the past couple of years, I have seen a downfall in case studies. But, still, they are useful. The Podcasts are also becoming very popular. These days, podcasts save you from reading long and lengthy content. A podcast is similar to a radio show where you will find the essence of storytelling and awareness. The best thing about the podcast is that you can download them and listen whenever you want. Who can ignore the importance of videos? Videos are by far the most effective way to promote content. It is straightforward to create videos about any topic and then promote them on social networks. You can publish videos on YouTube channel. These are the examples of content marketing. Now, you must understand what all you need for content marketing? Now, you understand internet marketing entirely. So be ready to find creative ideas to create excellent content to spread value and build the brand. It is essential that your content carries the amount or else no one will like what you have. Since your childhood, teachers have been telling you to set goals in your life. The same applies to content marketing. To achieve goals you need an effective content marketing strategy. This will help you to target your content marketing efforts in one direction and find out ways to promote content and measure success. This is the very first thing you need to do. You must understand what you want to achieve with your content marketing efforts. You need to make sure that your brand talks to the target audience in a unique way. Your content marketing should be appealing. Also, you need to understand your target audience so that you can differentiate between the real target and unnecessary traffic. Now as you know why and who the next thing is to research to find out how. You need to find the topic of interest and also need to resolve issues of the target customers. How many posts will you publish in a month? What type of articles will you write? You have to find the answer to these questions. If you cover all the above steps, then you already have a topic, keywords, and target audience. The next thing is to create content. You need to create super useful content for your readers. 80:20 rules always work here. 20% time to create content and 80% time to promote it. The more you promote, the more the audience will find it easily. You need a strategy to publish and share your content. This will help you build a list of followers. There is a direct relationship between search engine optimization and content marketing. These both go side by side to help the business grow. With the help of SEO, your content rank higher in search results and this way your website gets more traffic, exposure and sales without investing anything. The SEO techniques will help you to rank your content higher in SERP. SEO can rank your content higher and grab traffic, but this doesn’t mean that you ignore the importance of paid methods. Paid methods work well and save you a lot of time. It is always a good idea to invest in paid search results. A/B testing is there to help you find the best performing campaign. Now the question is how to start with Internet Marketing? How to start with Internet Marketing? Are you ready to start your internet marketing campaign? You should know how to start internet marketing. I have already said this that setting goal is crucial. It is necessary that you learn to have patience. It takes to get desired results from internet marketing. Always have a long-term plan. Think about what you want to achieve in one year? 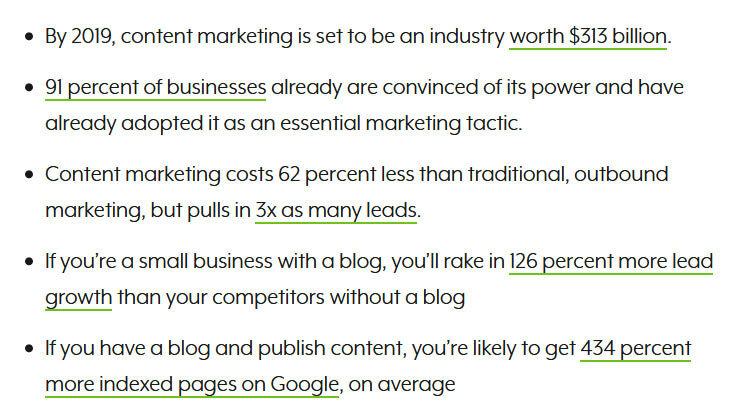 You can also note down the goals for content marketing. It is necessary to have a secure website to place all the content. You also need to think about how and when to share your content. Create an optimized and user-friendly website. Your content marketing strategy is what can make your business grow or die. It is essential that you create a practical plan for your content marketing efforts. Internet marketing is not only about following these steps but also about creating and testing. The more you work on internet marketing, the more effectively you can plan your next internet marketing campaign.